Trekking Everest Base Camp had been a dream of everyone who has adventurous spirit for a lifetime. You can learn a bit trekking skills and have some valuable tips that we want to share with any future trekkers to make your adventure easier. Mount Everest has always been a sacred place for explorers in all corners of the globe to visit. In fact, you can choose to visit the charm of Mt. Everest from the Everest camp in Nepal and Tibet. Good news! If you are planning to visit EBC from Tibet this winter, you are lucky. 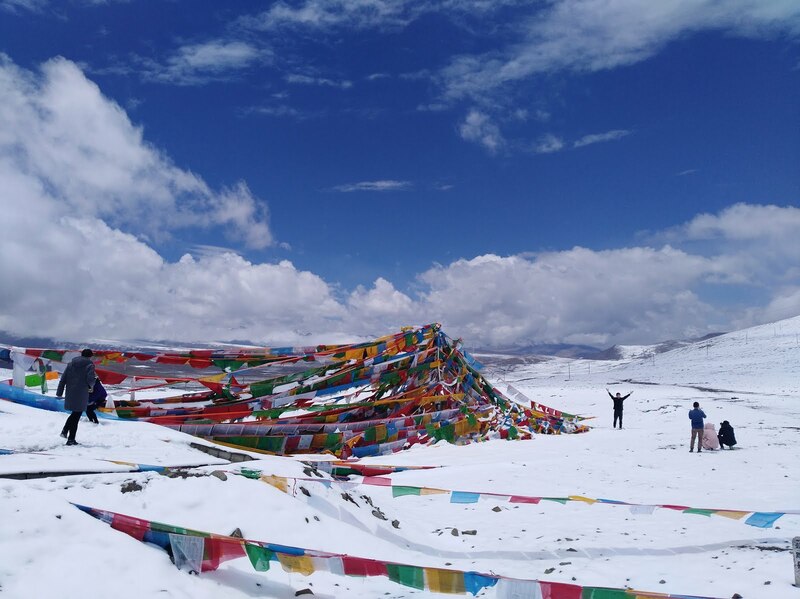 In order to promote the development of winter tourism in Tibet, the Tibet Tourism Bureau announced that from November 1 this year to March 15th, 2019, all tourists can enjoy the preferential policy. There are many attractions in Tibet that are free. 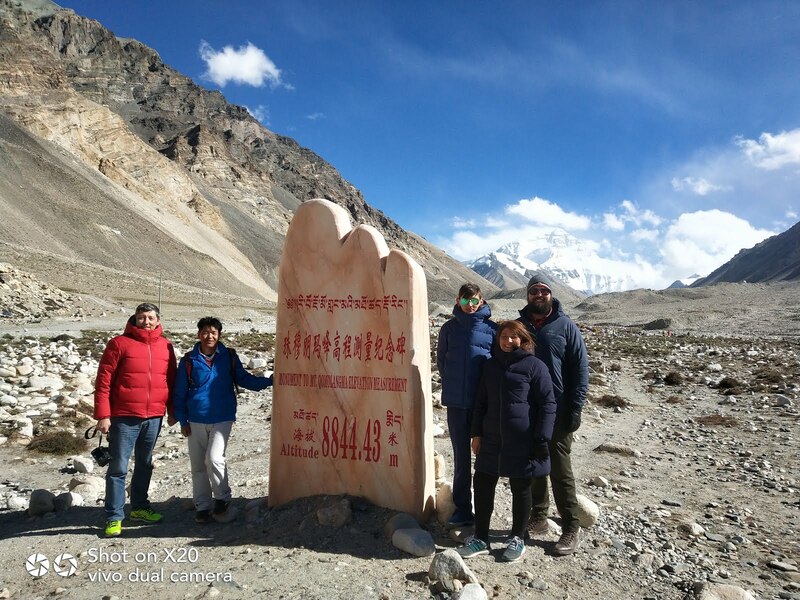 In the winter, traveling to Everest Base camp, you can enjoy a great night at the Rongbuk Guesthouse and will be shocked by the golden sunrise of Mt Everest. Generally speaking, entrance tickets for EBC will be charged 200 yuan. Now, this ticket is free! In addition, if you go to Everest Base Camp in the winter, you will enjoy a discounted price for the car fee, tour guide fee, and airfare price. This is really the best time to complete your Himalayan dream with the lowest price and the best quality. "Very cold, and potentially dangerous." If this is your opinion of Mount Everest's feelings in the winter and you are afraid to visit Mt.Everest in the winter, you can check more guidance for traveling to Tibet in winter. In fact, most of the Everest region is frozen all year round. However, the temperature of EBC is much higher than most tourists’ expectations. Although winter is not the best time to travel to Everest Base Camp, it is really a surprise beyond your imagination. 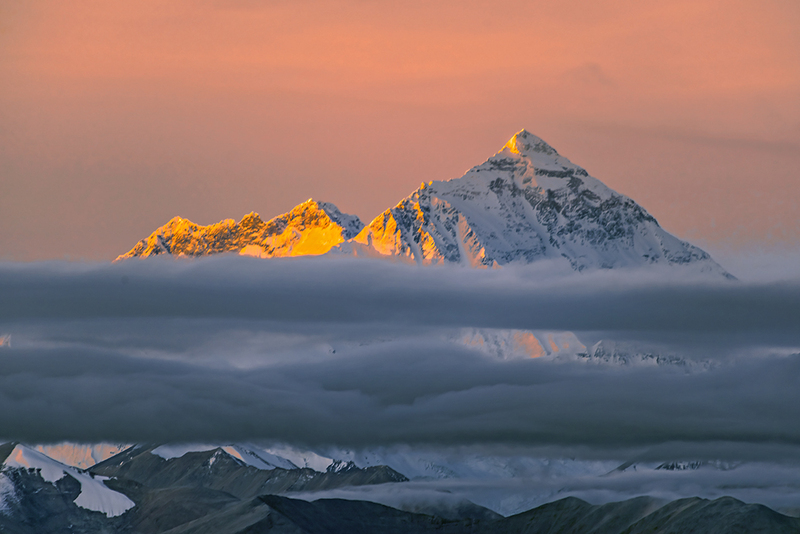 You can still view a beautiful sunrise of Everest Peak. According to the annual weather report, the maximum temperature of EBC is around 13 ℃, and in certain areas of the Everest Nature Reserve, the extreme temperature can drop to minus 20 ℃. In general, the average temperature of EBC in winter is minus 10℃ during the day and minus 5℃in the evening. In a way, it is even warmer than the rest cities in China like Beijing, Harbin etc. The temperature during the day is comfortable, and the sun-drenched sky usually dominates, although it can become below freezing at night. Many people suspect that there is no place to spend a night in Mount Everest in winter, even if they are eager to see the spectacular scenery immediately. To be honest, this is an unnecessary worry. Although the tents at the Everest Camp will be demolished from October to March each year, visitors can stay overnight at Rongbuk Guesthouse. If you don’t feel good, you can drive 120km to stay at Tingri hotel to stay a night. During the off-season, you can save a lot of money to travel to Everest Base Camp. There are always a lot of promotional discounts. In the winter, entrance tickets for Everest camp and other attractions in Tibet are free. In addition, the cost of hotels, tour guide, flights, etc. will also be reduced. You can enjoy an unforgettable time in Tibet and Everest Base camp with the lowest price and the best quality. Now, join in a small group tour to Everest Base Camp in winter is the best choice for you! How to plan a tour from Kathmandu to Everest base camp? How to plan a Mount Everest base camp tour?